Help a child on the island of Hispaniola receive the gift of a Christian education. You can be a difference maker through child sponsorship. For over 30 years, New Missions has been establishing local churches and Christian schools in Haiti and the Dominican Republic—providing children with education, food, and medical care so they can grow strong and make an impact in their community. Want to learn more? Watch this video. Our model makes a lasting impact through local leadership of a church to serve children and families, while providing a long-term development process of education to help children step out of poverty and find employment. Today, we have many graduates who teach at our schools, employ other Haitians, and run small businesses to support their families. Today, I own a small metal works business, and am helping build a new Haiti. Now, I’m the third grade school teacher in my home village of Masson, Haiti. Now, I serve as the director of the medical clinic in Bire, Haiti. I oversee our team of 32 nurses. Now, I’m the nurse at the school in Neply, Haiti, which is the New Missions school I attended as a child. 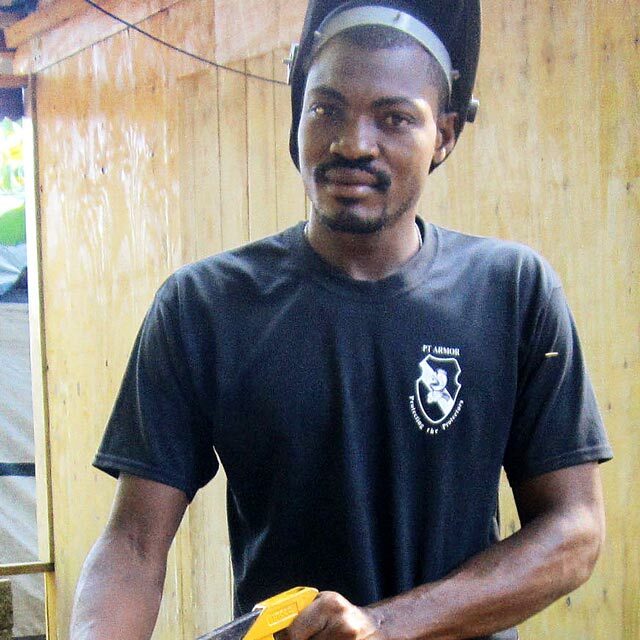 Now, I'm a motorcycle mechanic and have my own repair shop in the village of Masson, Haiti. Now, I'm a teacher in the village of Ambas-Peres where I was born. Today, I attend seminary and serve as the pastor at the same church I attended as a child. Each day approximately 10,000 children attend school, receive a hot meal, medical care, and have the opportunity to hear the Gospel message of hope that changes lives. Donate and help change the life of a child today. Or learn about these other ways to get involved. New Missions is a 501(c)3 nonprofit organization.